Do Florida State and the Big 12 make a perfect match? During the past week or so, expansion has seemingly centered on the nonautomatic qualifying conferences, which are trying to remain competitive after several defections to the "Big Six" conferences (if you can even include the Big East in that category anymore). However, on Thursday, Orangebloods.com columnist Chip Brown threw out another scenario that could get the major wheels of expansion turning once again. Brown, who was at the forefront of Big 12 and Pac 12 expansion two years ago, writes Florida State should consider moving to the Big 12 for the money. On Wednesday, the ACC announced its new media rights package with ESPN, which would net each ACC team about $17 million, which is up from the $13 million deal the conference previously had. But Brown asserts the Seminoles could be in for quite the windfall if it were to switch conferences and form its own network similar to the University of Texas. The Seminoles are in one of the few states - with a population of 19 million - in which a university could turn its third-tier rights into the school's own television network the way Texas has done in the Lone Star State (population 25.6 million). TOO GOOD TO PASS UP? : One industry source said if Texas can command $300 million over 20 years - $15 million per year in additional TV revenue - for its own network, Florida State should be able to command at least a third that much ($5 million), if not more, in a state with so many television sets and a passion for FSU sports. So before everyone dismisses Florida State ever taking a serious look at jumping from the ACC into the Big 12, consider that. This isn't the first time Florida State has been mentioned as a potential expansion candidate for the Big 12. Clemson, Notre Dame and Louisville also has been thrown in there as potential candidates to help the Big 12 get back to 12 teams following the departures of Nebraska, Colorado, Missouri and Texas A&M in the past few years. The Big 12 will add TCU and West Virginia for the 2012 season. 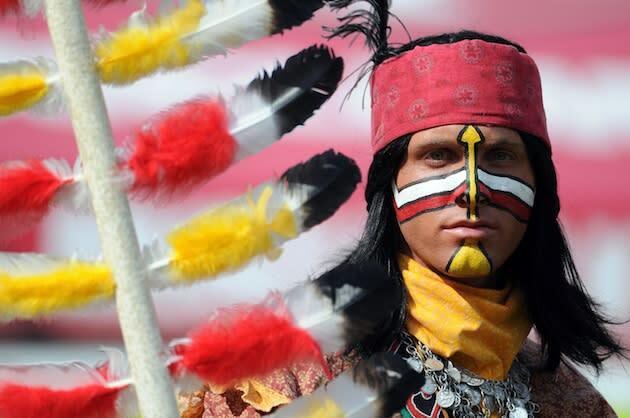 Although Florida State has maintained its ACC allegiance because of academics, its financial shortcomings could make it change its tune. Warchant.com reported on May 4 that the Florida State athletic department could have a deficit of $2.4 million for the 2012-13 academic year. To combat that shortfall, Florida State athletic director Randy Spetman told Warchant.com the plan was to "cut back our budget next year pretty dramatically." The website reported as much as a $500,000 cut. Brown lays out a lot of different factors which make Florida State and the Big 12 a nice fit. And while there's nothing definitive in the works, new commissioner Bob Bowlsby didn't rule out expansion. "I'm not going to presume a direction that we will go," Bowlsby said. "I think if you're going to consider expansion, it has to be expansion that has, at its roots, the enhancement of the league. There's nothing magic about 11, 12 or 10. To the extent that we can do things that can advance our agenda, we ought to at least consider that."